Our mission is to design, organise and run your unique social event discreetly and professionally, providing your guests with an outstanding personalised experience, whilst allowing you to enjoy hosting them. We will organise events for any occasion or age group. So why not have the hard work and stress taken out of organising and running your party, dinner party, dinner dance, wedding reception or any other occasion you have in mind. Simply contact us and you can be assured of a first class, professional service that will impress your guests and make your event extra special. Everyone loves a party and we love organising them but it can be a daunting and time consuming experience; you must find the venue, arrange the invitations, choose the menu, organise music and entertainment, venue decorations… the list is endless. But it should also be great fun for both the hosts and the guests! Emma Davies Events can ensure it is by helping you to create a truly memorable occasion, turning your ideas into reality. We can arrange any party whether its a black tie charity event, a garden party, milestone birthday, themed or surprise party... we can organise them all. 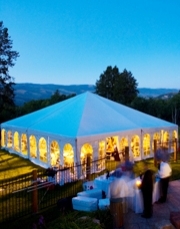 We can help you select the perfect venue, decorate it and arrange your entertainment. Why not try something different? Perhaps a fire eater, an ice sculptor or a dance act. You name it and we will arrange it. An exciting and busy time for any Bride-to-Be. With so much to organise it can be an overwhelming task. Invitations, venues, caterers, entertainment, transport, flowers, dress, make up, venue decor... the list is endless. Emma Davies Events can take the strain out of organising your perfect day, but always keeping you updated and involved every step of the way. We will meet the bride and groom and get to know you, understand your style, likes and dislikes. If you wish we can just organise certain aspects of your big day or oversee the evening reception, but rest assured every aspect is lovingly planned in detail and perfection. Our aim is to turn your dream wedding into reality, and we will guarantee that your special day will remain in your and your family and friends’ memories for the rest of your lives. 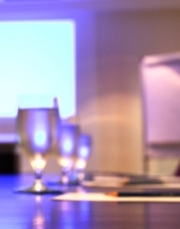 Emma Davies Events will help organise any corporate event from conferences, presentations, gala dinners and product launches to small business meetings or training seminars. We will find the perfect venue to suit your requirements, or why not try ‘a venue with a difference’? We will decorate it appropriately and if required organise entertainment and food from a modest finger buffet to a 5 course meal. We can source visual and audio equipment and will bring our own technician to set up and run them for you. Sets and staging can also be built to accommodate your event. We will work in collaboration with our clients to ensure we meet all the objectives required to suit all budgets. And it goes without saying, we will be available on the day to make sure everything runs smoothly whilst you can host effectively. Who needs an excuse to celebrate? We don’t! 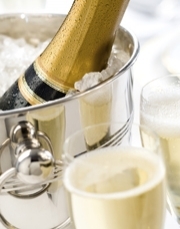 Whether it’s a surprise celebration or get together to congratulate your husband for his work promotion, a special anniversary, baby naming ceremony, hen and stag do’s, a school prom, a romantic weekend away or an intimate dinner party for friends at your own home, Emma Davies Events can organise this for you. Fancy something different? We can give you ideas and inspiration to make that celebration just perfect... like Murder Mystery dinner parties, party busses and river boat cruises. Or what about a totally different celebration at The London Dungeons or Madame Tussauds? 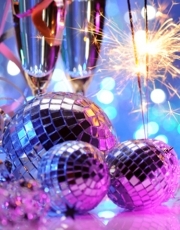 We can supply the caterers, entertainment, decorations, props and staff to make sure that your celebration goes with a bang! Whether you need full co-ordination for an event or just a few staff to help with the preparations and responsibilities on the day... we can help you. Our friendly staff can be on hand to greet your guests, serve welcome drinks or serve behind a bar, prepare and serve food, tidy and wash glasses and crockery so there is minimal work for you to do before, during and after the event - anything you need to help make the celebrations run smoothly. All our staff wear suitable attire/uniforms for each individual function. 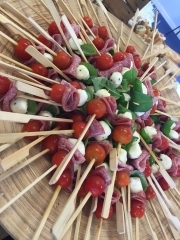 Whether you are looking for canapes for a cocktail party or a silver service meal we can arrange the most appropriate catering services for your event. As well as working with many trusted caterers, Emma Davies Events has their own in-house catering available with a 5* Food Hygeine Rating offering delicious home cooked foods from simple sandwich buffets to canapes, bowl food, hot or cold buffets, desserts and mini shooters. Please take a look at an example menu of what is available on our 'photo gallery' page. If you just need your venue decorated we can offer this service as well. Let us transform a blank canvas into something amazing using our imagination and flair. Whether you're hiring a venue, a marquee or entertaining at home we can create ambience with candles, fairy lights or coloured mood lighting, supply table centrepieces, chair covers, dance floors and more... we can give your event the wow factor within your budget. Having a themed event? 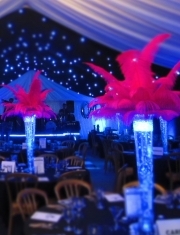 We can source your decorations, whether its a 70's disco, 80's extravaganza, James Bond party or Masquerade Ball... let us make over your venue in your chosen theme. 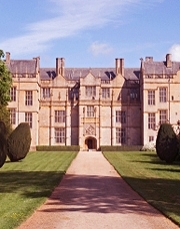 Emma Davies Events can find a venue for any event however big, small, weird or wonderful! Let us know your needs and expectations... and we will do the rest! Finding a venue for your wedding, party or celebration can take a huge amount of time; Emma Davies Events can do all the hard work for you whilst you concentrate on organising the exciting bits! As we build relationships with venues and hotels we can and will negotiate the best price on your behalf but will never charge more than what the venue will charge if you went direct to them. We will come back to you within a reasonable time limit with three venue choices and if you are happy with one, we will then book the venue on your behalf. What could be easier? If it’s proving difficult or you just don’t have the time to source a particular item of service, we may be able to help! With our vast array of contacts we can do the leg work for you and find what you are looking for. Need something unusual or quirky? A caricaturist or fire eater? Want to arrive in style in a helicopter? We can arrange string quartets to a gospel choir or even ‘singing waiters’ to entertain your guests as they serve. Belly dancers or magicians to keep your guests amused... a fun photo booth to capture the day or a vintage sweet cart will always go down a treat! If you want to hold your event in your own home but space is a problem we have very good rates for a whole range of marquees and dance floors. Add a crèche to keep the children entertained and the adults will entertain themselves! From chocolate fountains to cupcake towers, from face painters to hot air balloon rides, from ice sculptures to human statues. Our list is endless... call us and we shall find! Amaze your guests with an Award Winning, International Close-up Magician! 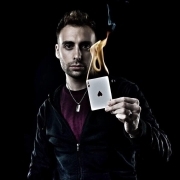 Based in London & Hertfordshire Gary Schiffman specialises in close-up Mix & Mingle and Table magic. His down to earth & easy going personality enables him to fit in perfectly with any type of event. Whether you’re looking for something different to entertain your guests or the perfect ice breaker, Gary will ensure your guests remember your event long after they have left. Contact Emma Davies Events for bookings!